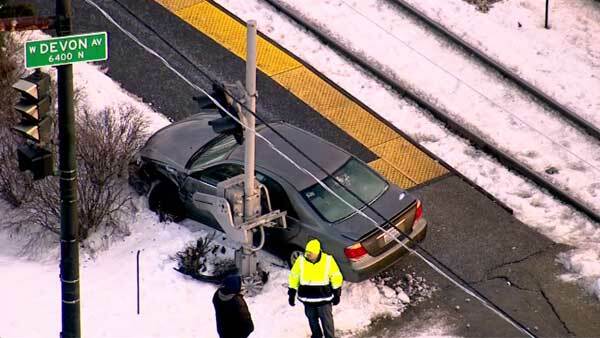 CHICAGO (WLS) -- A vehicle ended up on Metra tracks on Chicago's Far Northwest Side. Emergency crews were on the scene near West Devon and North Lehigh avenues around 7 a.m. Tuesday. There was no train involved in the incident, although the car and pedestrian gate may have sustained damage.